our team is driven towards one single purpose – to restore a tomorrow for life on Earth. All over the world, we are witnessing the disappearance of nature as a result of human population growth, rampant development and destruction of ecosystems. These are the very same systems we rely on to provide food, energy, medicines, clean water and air to all life on earth. Biodiversity loss is lining up to be one of the greatest man-made crises ever. The global trend of mass species die-off and loss of functional ecosystems can however be stopped. Our dream is to reconnect Africa’s wild spaces to create a future for man in harmony with nature. 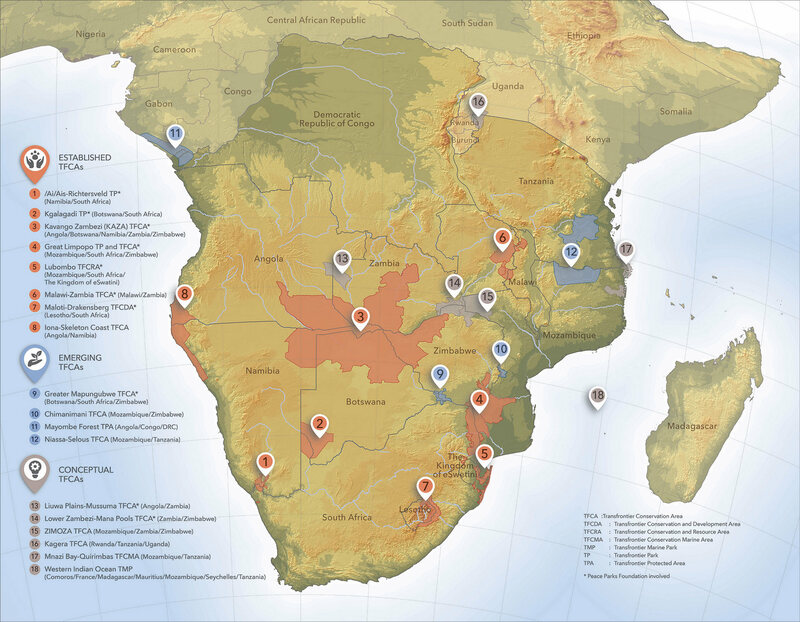 If we can conquer boundaries to re-establish, renew and preserve large functional ecosystems – we can protect and regenerate natural resources and heritage vital to enabling and sustaining life on our awe-inspiring continent.